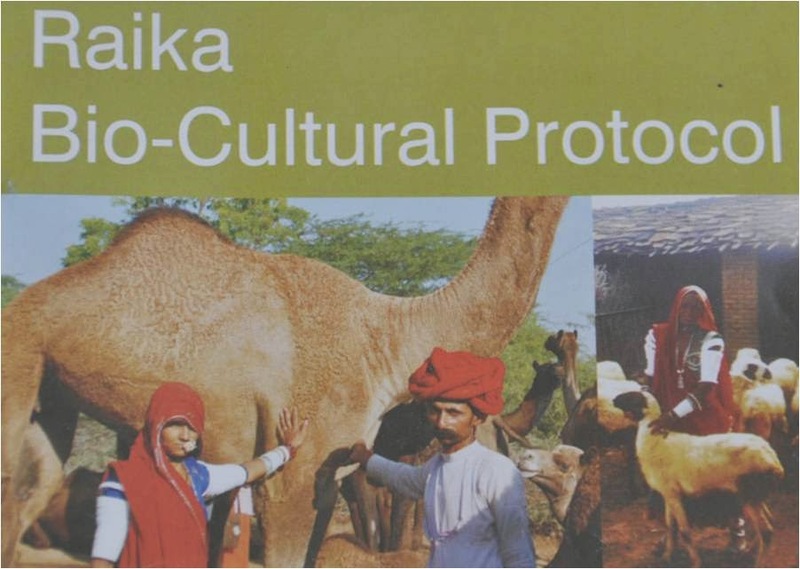 An important aspect of breed conservation has been identified as ‘livestock keepers rights and the BioculturalProtocols(BCP)’ and this is being guided by the LokhitPashuPalakSangh (LPPS). LPPS developed the first BCP for the Raika community in the Pali district of Rajasthan with the help of South Africa based lawyers and an NGO working for farmers/community rights. The protocols are developed by the community and documented by the supporting NGO. The BCP records the history of development of their livestock as well as that of the community. It also records the topography/ mapping of their working area along with the the flora/ fauna of the area. Besides this, traditional practices and local knowledge are also documented. All in all, a comprehensive document is prepared. This is then supported by locating the documentary evidence from archival records and already existing documents. The relevant elements of the BCP are being recorded in the local biodiversity registers. At present, the network manages about five BCPs and NGOs in Gujarat, Rajasthan, Maharashtra, Karnataka, Orrisa,Tamil Nadu and Jammu & Kashmir, working towards developing new BCPS.